Choosing the right vessel is essential to getting the most from your experience at sea. There are a huge number that offer berths (spaces) to trainees, and every voyage presents different challenges and opportunities. 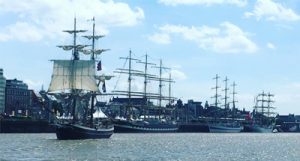 There are four different classes of vessels: Class A, B, C, and D. Class As and Bs are usually classed as Tall Ships – the world’s largest sailing ships with crews of up to 150 people. Small Ships have smaller crews, but you have the chance to sail in more intimate teams. 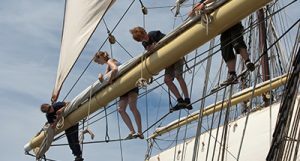 Perhaps you’d enjoy the drama of a Tall Ship, with demanding work aloft and on deck? Or, maybe the exhilaration of racing on board a Small Ship, closer to the elements, is more your thing. 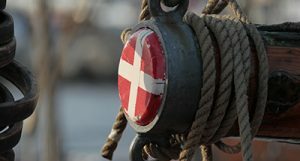 We have lots of information about a wide variety of different vessels, which gives you an idea about what you can expect on board. We also explore how you can choose the right vessel for you, and we think about important things to consider before you set sail. A simple explanation of the different types of vessel on offer and what sailing them entails. A few things you need to consider when picking your vessel. Search for vessels that offer adventures.